Below is the language Praxis will submit as our public comment for two federal policy proposals impacting immigrants and families and communities of color – especially those who live in areas with the highest rates of disinvestment and adverse effects to living a healthy life. Please feel free to borrow our language (as well as add your own voice) from the non-italicized text below to submit your comment (on SSI HERE and on SNAP HERE) before April 2nd, the deadline for both proposed rules. Both proposed rules impact vulnerable populations’ health and welfare and as such present an important opportunity for people to share our perspectives. If you or someone you know could be impacted by these policies, we encourage you to share what you expect would be the consequences of this policy for you and your family or community. See HERE for more tips on submitting a solid public comment. Background: The Social Security Administration’s proposal to eliminate the criterion of ‘inability to communicate in English’ from their evaluation of disability insurance claims could reduce the number of people who would normally qualify for benefits by over 10,000 claims per year across Old-Age, Survivors, and Disability Insurance (OASDI) and Supplemental Security Income (SSI). 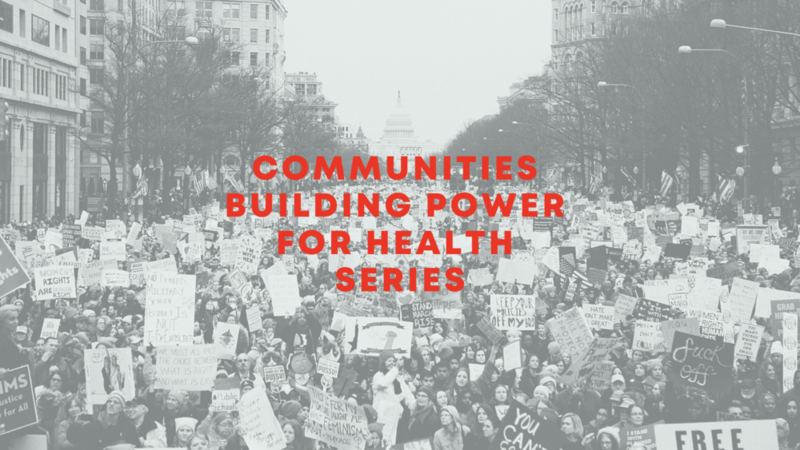 As a health justice advocate, The Praxis Project opposes this proposed change because it poses significant risks to health. This is because many jobs that (Limited English Proficient) LEP workers work in demand heavy or medium physical exertion. LEP adults ages 18 and older account for 39 percent of all workers in positions that do not require a postsecondary degree or credential – with LEP workers making up over half of the less-than-postsecondary-education workforces in California and Texas. Specifically, LEP workers are more likely than English-proficient workers to work in construction, service, production, material-moving and maintenance jobs. This is precisely why the current grid rules direct a finding of ‘disabled’ for claimants over the age of 45 who are unable to communicate in English and are limited to sedentary work, and for those over the age of 50 who are limited to light work: limited proficiency in English directly impacts their ability to secure gainful employment. The Praxis Project is concerned that the implementation of this proposal would result in diminished opportunities for health for disabled LEP individuals and their families. Given that most SSDI beneficiaries rely on this income for most of their day-to-day survival; they and their families’ opportunities for health would be at risk under this proposal. In terms of language justice, limited English proficiency is associated with poor health outcomes in general – and poor health can limit workforce participation. This is compounded by language justice implications such as disabilities hindering one’s ability to access learning English or any language: and the severely underfunded adult education and English language instruction infrastructure available to workers needing to learn English. Adding to these barriers through implementing this rule and placing a greater burden on disabled LEP workers could exacerbate these workers’ challenges in learning English. While there are areas where a person who speaks a language other than English can meaningfully contribute to the workforce and to civic society, those opportunities are significantly narrowed for individuals who have limited functional capacity due to disability. As a country, we must do more – not less – to ensure that immigrants and LEP individuals receive equal opportunity and equitable treatment. We urge the SSA to find a different, humane and sustainable solution to any cost challenges in paying out SSDI. See also another letter you could choose to sign onto, developed by CLASP and NILC. As a health justice advocate, The Praxis Project opposes the proposed rule on SNAP requirements and services for Able-Bodied Adults Without Dependents because it poses significant food security health harms to at least 755,000 adults and cuts SNAP benefits on a ten year basis by $15 billion. We note that the USDA does not estimate any improvements in health or employment among the people and communities that would be impacted: nor does it clearly demonstrate how it could minimize the harmful effects it forecasts and uphold maximum health and employment. As such, food security is a crucial social determinant of health. With food security, people can focus on making a living, obtaining an education, preserving and improving their health instead of being forced to make tradeoffs among their basic survival needs. Food insecurity exacerbates chronic health issues like depression, anxiety & obesity. SNAP helps more than 40 million people – one in seven Americans – put food on the table. Food assistance through SNAP extends through communities, expanding economic benefits and responding to changing economic conditions. As an anti-hunger program, SNAP fights poverty by ensuring that people have basic food security. It supports people who do not earn enough money to escape the cycle of poverty and hunger/malnutrition. Hunger is a real and debilitating barrier that further inhibits unemployed and underemployed people from being able to secure work and good health. If self-sufficiency is a core goal of the program, these realities cannot be overlooked. States are already required to limit SNAP to just three months out of every three years for most working-age adults without minor children unless they can log 20 hours of work per week – resulting in existing cutoffs of hundreds of thousands of unemployed or underemployed individuals from food assistance when they need it most. Making it more difficult for these individuals to be food secure and obtain secure employment would undermine food and economic justice. People working hard to look for a job cannot afford to have to be worried about looking for their next meal. Area waivers and individual exemptions enable pathways to employment and earnings, including through allowing states to offer benefits in areas with currently limited job opportunities. Because federal law limits SNAP eligibility for childless unemployed and underemployed adults age 18-50, vulnerable people – such as those juggling multiple jobs and/or fluctuating work schedules – cannot access food benefits when they most need them. In these circumstances, they cannot seek and maintain employment and better wages. In turn, states, cities and local charities face greater burden to provide food. This is one area in which state waivers are vital for food and economic security in communities. Limiting the obtention and implementation of these waivers will have the opposite effect. Low income people need government to invest in supporting access to nutritious foods. We need to maintain the efficacy of programs like SNAP to fight health and economic disparities that disproportionately impact low-income, rural and/or communities of color. We do not accept the Department’s acknowledgment of civil rights-related factors that limit people’s access to employment, while at the same time failing to clarify how these factors will be tackled. We urge Food and Nutrition Services to recognize SNAP’s role in families’ and individuals’, economic mobility and stability. See also comment microsites at FRAC, CAP and Feeding America – and remember to submit one comment per individual/organization, with unique wording and perspective offered in each individual comment.